Man Candy Monday time, friends! 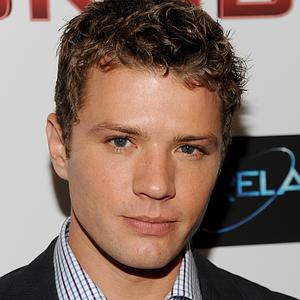 This week let's focus on a bit of a controversial (to me) pick - Ryan Phillippe. For me the controversy comes in with the rumors of his affair when married to Reese Witherspoon. I mean, who would cheat on her?! Let's just look past that part of him and focus on the hunk factor. I first noticed Ryan at the same time as most of you, probably, in I Know What You Did Last Summer. He was the jerk with the good looks. Does anybody wonder if that translates into real life? I don't know if it's his accent, which, lets be honest, makes him sound a bit snooty, or the fact that rarely smiles in pictures. Again, let's forget that because he's hot. OK let's just get to the pictures already! Formerly married to Reese Witherspoon. Currently dating Amanda Seyfried. 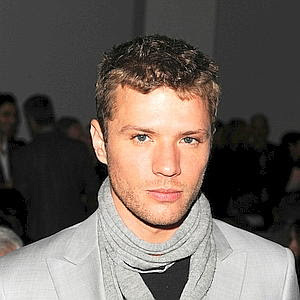 Ah, Ryan Phillippe! He is so cute, but I know what you mean about Reese. She's perfect! Anywho, he is totally worthy of his Man Candy title. I actually went to school with his cousin (I grew up in Delaware) and trust, the family genes are very impressive. They're definitely #winning! I remember my best friend being so in love with him when we were teenagers! Cute cute. 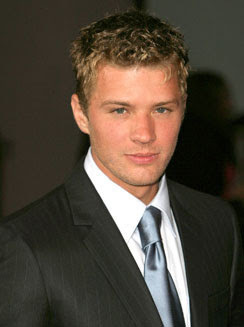 I was obsessed with him in Cruel Intentions - Still kinda am. Plus he's with Amanda Seyfried who is one of my huge girl crushes. He rocks. I mean cheating on anyone isn't acceptable, no doubt. But I've always kinda thought Reese W was a bit of a . . . square? That's ridiculous given that I don't know her, ha. But she seems a little . . . prudish. Or uptight, or something. I don't know. Just picking apart celebrities with the best of them! (And still--no excuse to cheat!). Ok, I can't agree with you on your choice this week =( I did like Ryan pre divorce...now he is kind of ugh. Now Ryan Reynolds...HOT! Yes please, I do agree with you. He is fine! I totally noticed him in Cruel Intentions. Who could not love his looks in that movie. He is always so sultry and snotty in movies, it will nice to see a funny side of him (if he has one). I swear, you and I have the same taste in celebrity hotties. I fell in love with him after seeing him in Cruel Intentions! He was perfection in that and I seriously just love, love, loved him. Even now when I watch that movie I can't help thinking just how freaking hot he is! I can't believe you'd never heard of Andrew Garfield before! You really should watch "The Social Network", it's actually really really good! He is so handsome... and talented! What?! He's dating Amanda Seyfried? I had no idea. He is pretty hot though. He's so attractive -- but seriously, who would cheat on Reese Witherspoon? Automatic blacklist. Yes, I like him. And of course I remember him from that crazy, scary movie...or at least I thought it was. Forgot to ask, have you seen Takers...? Fashion Fridays: I Love San Fran!